Beating the Odds Foundation brought The Play to the Mishler Theatre in Altoona, PA on December 17 and 18, 2018. A Great American Story about Family, Faith, War and Football. 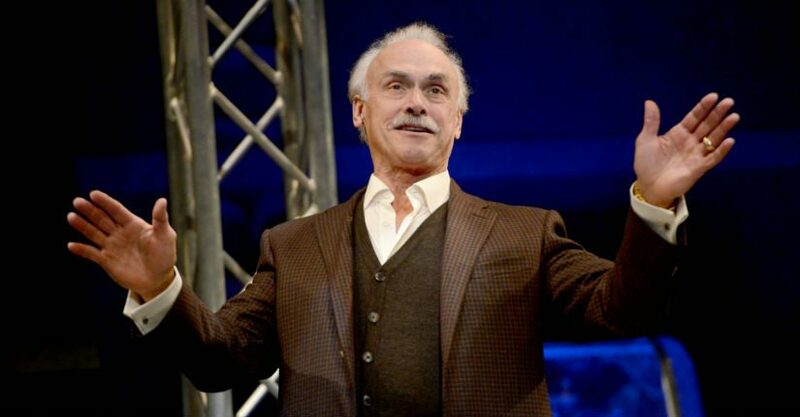 This intimate portrait features Rocky Bleier’s multi-faceted life as a Super Bowl champion, wounded warrior, family man and community activist. This inspiring one-man play provides a poignant introspective glimpse of a living legend. We were honored to bring this rare opportunity to Central Pennsylvania to witness Rocky Bleier in an intimate and unforgettable evening. Special thanks to our sponsors: Learn4Life, Keller Engineers, UPMC Altoona, US Foods, Altoona Barbell Club, Altoona Curve, Anonymous Donor, Central PA Physicians Group, Courtyard by Marriott Altoona, EMPOWER3 Center for Health, First National Bank, The Honey Baked Ham Company, and Young, Oakes, Brown & CO, P.C. QBOL Assembly with Roberto Clemente Jr.
© 2018 Beating the Odds Foundation.